MS Dhoni won the toss and elected to field first. The Rajasthan Royals came out all guns blazing with Buttler and Rahane looking to score at a brisk pace. But unfortunately for them, they lost wickets at regular intervals as they could not find any momentum leading into the final overs. Thakur was the only bowler who was really taken for runs as he went for 44 in his 4 overs. Ben Stokes finished as the top scorer with 28, but Gopal's brisk cameo at the end getting 19 off just 7 balls helped take the Royals to a score of 151 in the 20 overs. In return, CSK got off to a bad start losing 4 wickets in the power play. Rayudu and Dhoni steadied the ship with a 95 runs partnership as they kept the CSK hopes alive. Rayudu fell in the 18th over as the required rate kept going up. It came down to 30 from the last 2 overs with Archer bowling who had bowled a brilliant spell. Dhoni was struggling with fitness and looked in discomfort. Picking up the last ball boundary in the 19th over meant they had 18 to chase of the last over. Jadeja smashed a brilliant 6 off the first ball as he slipped and fell. Just as Dhoni was ready to strike it big with 8 required off 3 balls, Stokes delivered the perfect Yorker to get him out. There was a huge drama the umpire after signaling a no-ball backed out. Furious Dhoni actually walked out from the dugout to the middle to argue about this decision. Finally, as it was 4 to win off the last ball, Stokes delivered a wide ball after which Santner finished off the match off the last ball 6. This page contains news relating to various facts and events. The views are generally about current affiars and general topics in diversified areas such as political, international, national, and regional issues, sports, health, travel, lifestyle, technology and business. People having similar interets on the above topics will find this page useful. 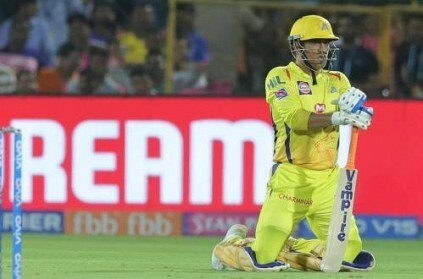 CSK win a tight controversial match against the RR | Sports News.